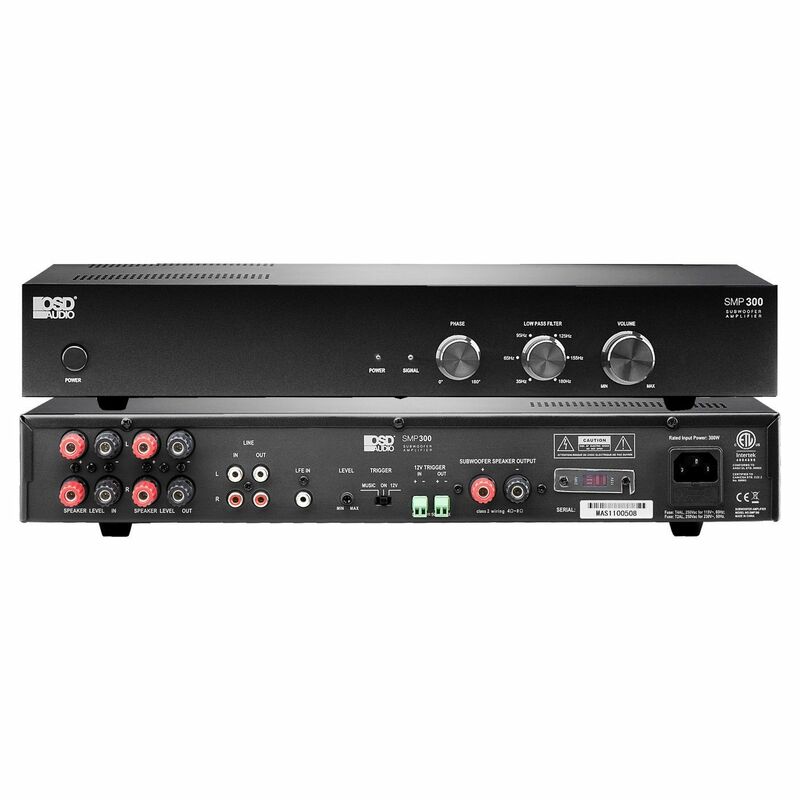 OSD Audio’s SMP300 is a Class D digital mono subwoofer that delivers up to 500W of peak power to beef up the bass in your home theater or audio sound system. 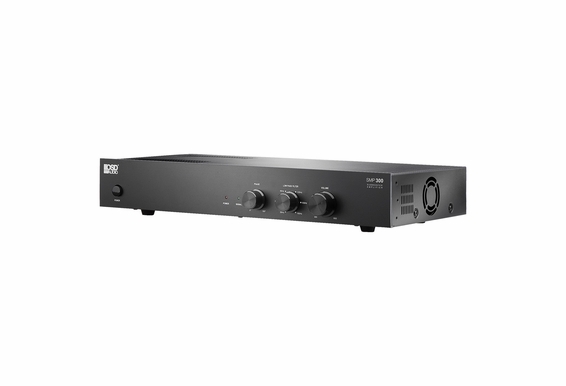 Designed for use with passive subwoofers such as in-wall subs that require external power, the SMP300 provides continuous, stable power but measures only 3” high so it can fit inside any equipment rack or cabinet. Moderately priced with high-end features, this compact sub amp enhances the low frequency sound effects on music and movie soundtracks so you’ll experience highly accurate bass and a more intense surround sound experience. 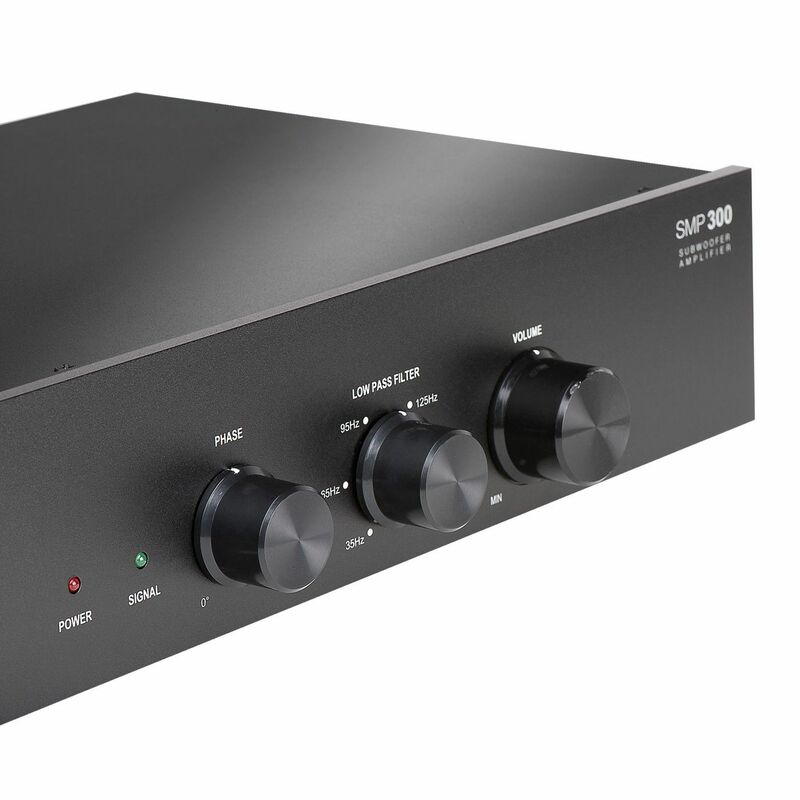 The SMP300 includes variable low pass filter control for balanced and seamless sound quality as well as variable phase control for additional fine tuning. 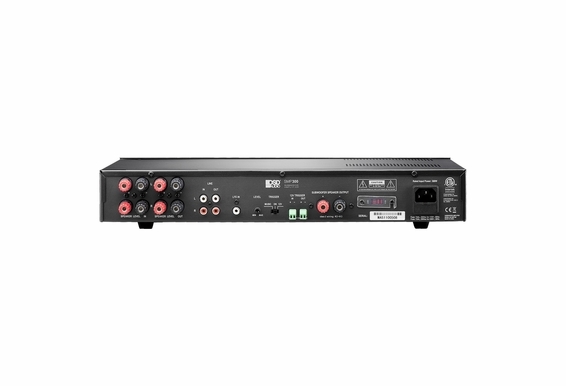 Multiple connection options include LFE input, line-level and speaker-level inputs to cover newer and old school source equipment. 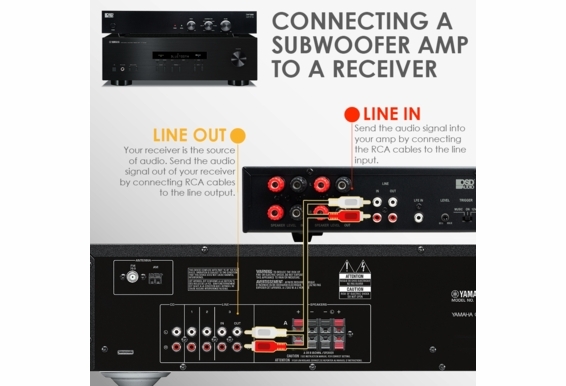 Why Do You Need Subwoofer Amp? A powered subwoofer has its own internal amplifier. 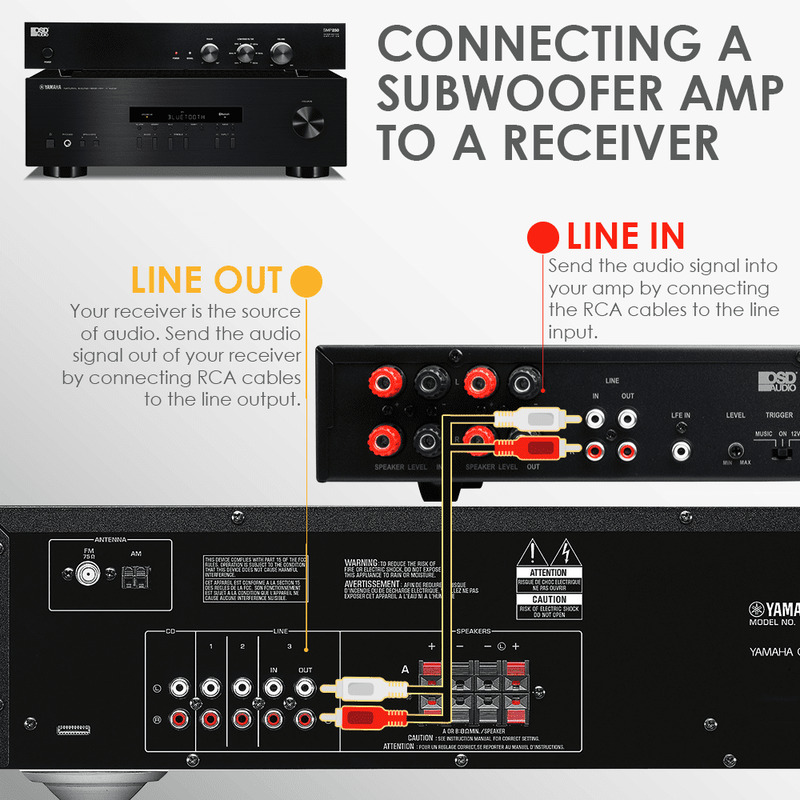 A passive subwoofer requires external power, and most in-wall subs are passive. After all, it’s not so easy to install a 100-pound powered subwoofer inside a wall. That’s where an amp like the SMP300 comes into play. 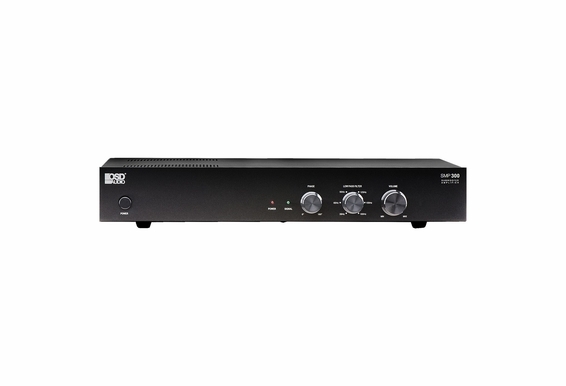 This amp not only adds necessary power but routes LFE away from your surround speakers, which in turn gives you much cleaner highs and midrange. This subwoofer amp does much more than supply power. It also improves the overall sound quality of your entire surround sound system. A front-panel variable low pass filter allows you to adjust the upper frequency limit of the subwoofer to control the overlap of the subwoofer’s upper frequencies and the main speakers’ lower frequencies. 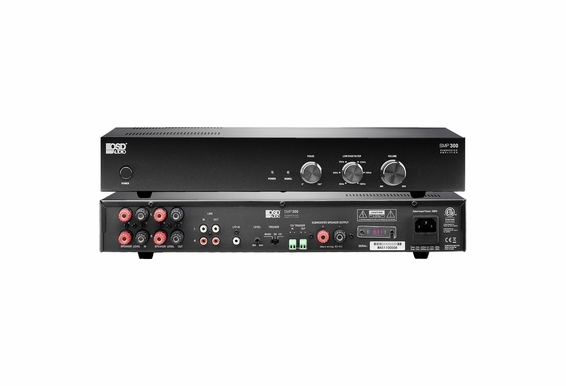 This results in bass that complements the sound from the main speakers rather than overpowers. 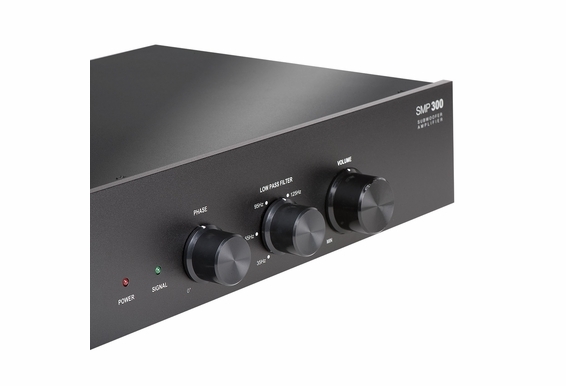 The SMP300 also includes a front-panel variable phase control knob that operates over a range from 0 degrees to 180 degrees and allows you to match the arrival times of the sound waves from the subwoofer and the main speakers. This fine-tuning results in bass that is less muddy or thumpy but rather smooth and detailed. 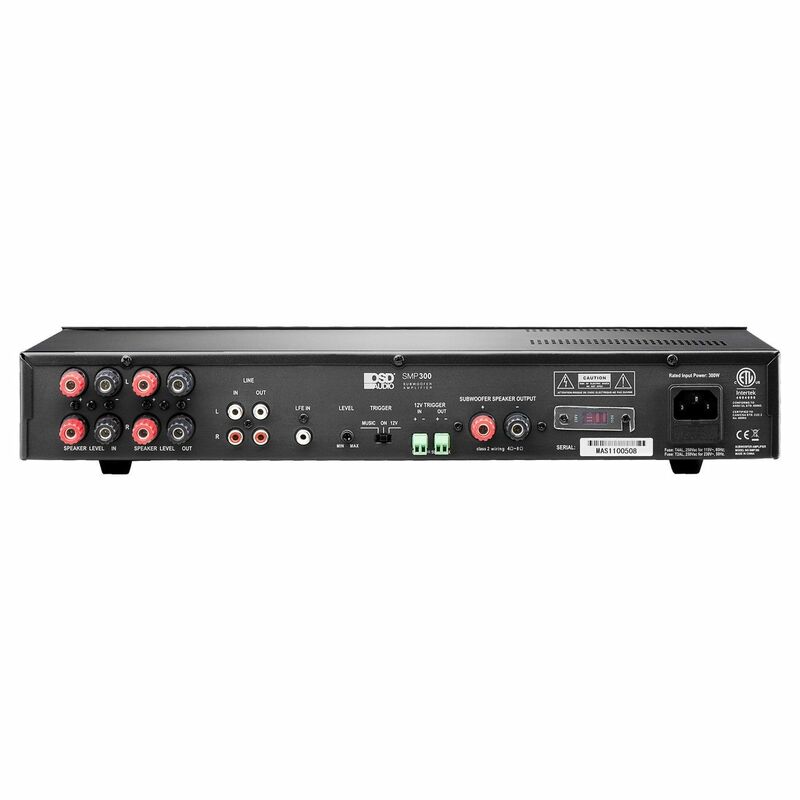 Many amp subwoofers in this price range include a variable phase switch that does not offer the same amount of audio precision. 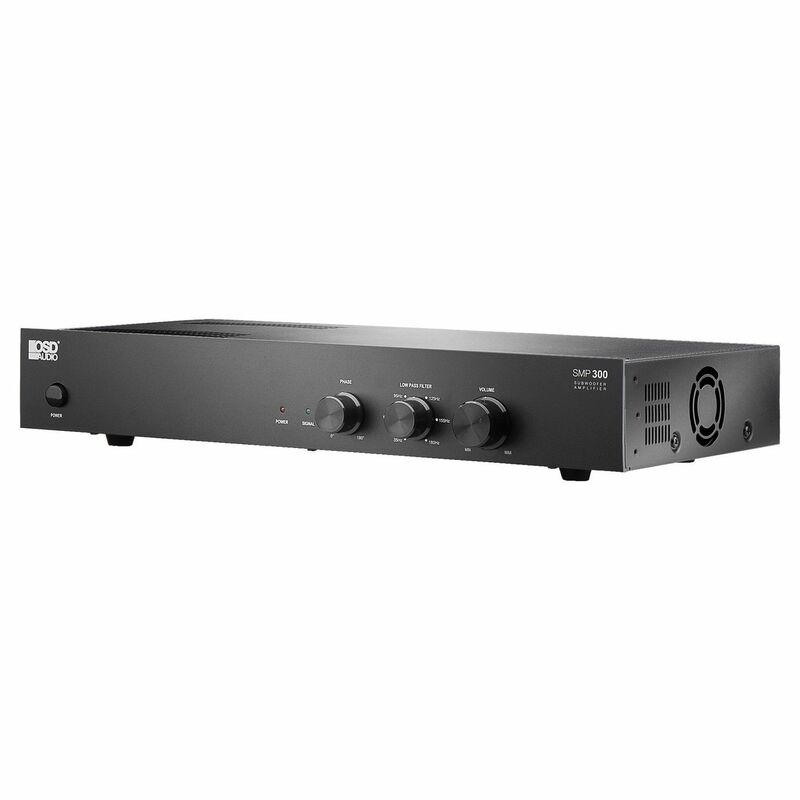 The SMP300 uses Class D digital amplifier technology that combines the best qualities of both Class A and B amp protocols into a highly efficient compact chassis that is ideal for budget-minded users who want a feature-rich digital sub amp that does not run hot or take up a lot of space. Dimensions (L x H x D): 16.25" x 3" x 9.25"